Orlando di Lasso's tuneful villanelle is set here for TBB voices with details that suit the young male voice. 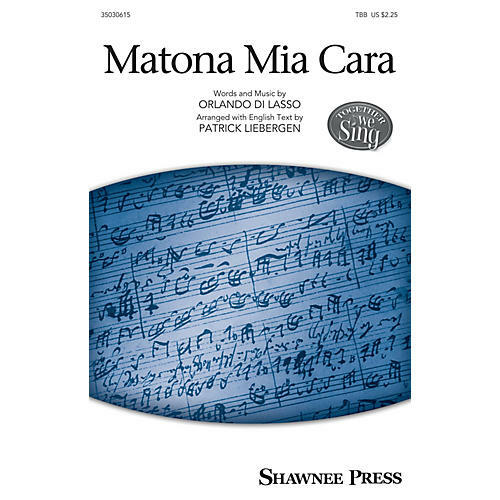 The Italian text is accompanied by an optional English text, it is shorter in length than the original SATB score, contains an optional piano accompaniment, and is written in a style that is rustic and light with the energized syllables of dire, dire, don, don, don. A wonderful introduction to madrigal singing for your men.